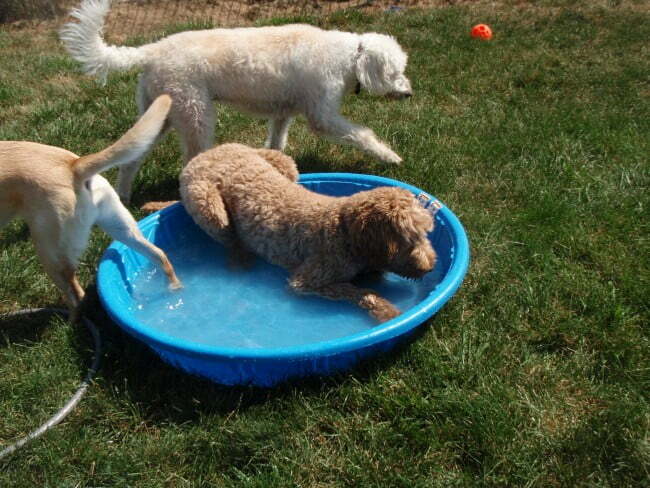 Oakville Dog Boarding that will impress! Extremely clean dog kennels. Dog Boarding that will impress! Club Bekkers kennels is a building like no other servicing Oakville, Mississauga, Hamilton, Brampton, Milton and Burlington Ontario. Oakville dog boarding and dog boarding Mississauga at its best! 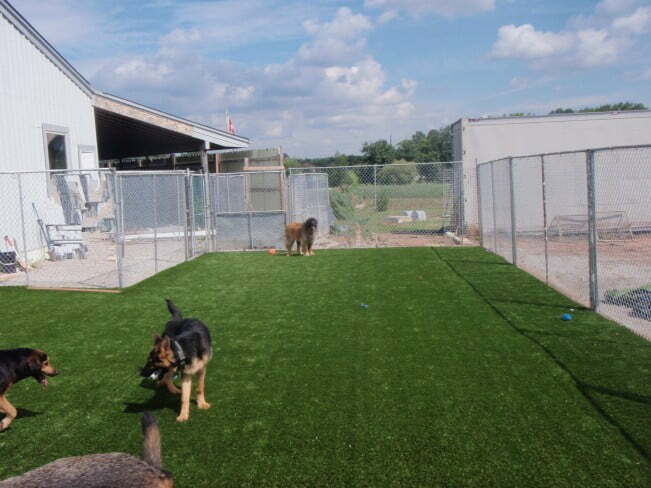 Take a look below to see what we have to offer your furry best friend in Ontario in our extremely clean dog kennel in Oakville. We assure you, that your dog will enjoy their stay our Oakville dog kennel and you will have no worries when you are away. We know how to look after your pet just like they were our own. 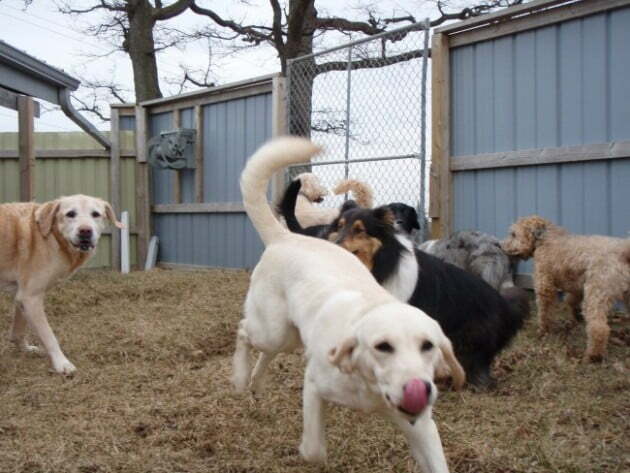 If you live in the Halton area you owe it to your dog to come and check out our kennel. You will not be disappointed and your pet will love you for it. We have boarded pets from Mississauga and Oakville, and from Hamilton to Toronto. All the dogs have a ball! Mississauga dog boarding at its best! 9 year old facility with larger and brighter dog kennels 20 sq ft and sliding clear door to own outside dog run 60 sq ft. 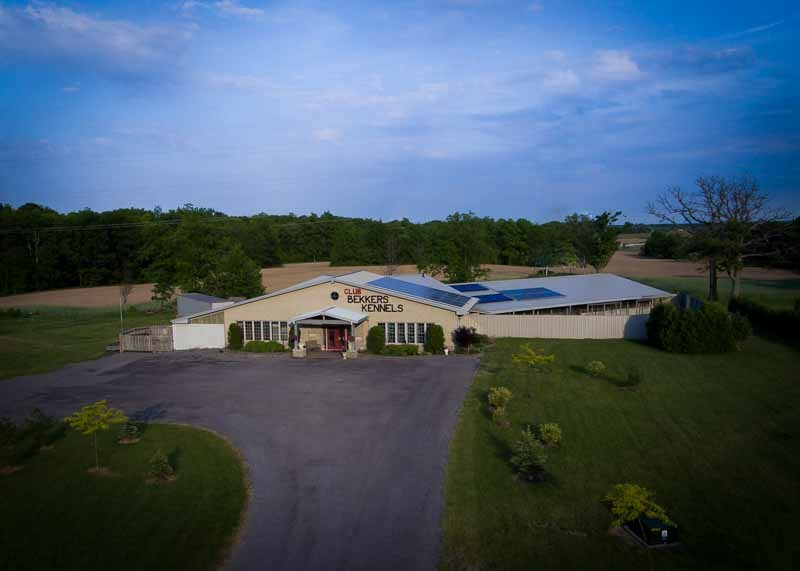 Heated floors for extra comfort and air conditioned kennels. Floor to ceiling ceramic tiled dog suites. Individual covered outside runs for exercise (outside 3 times per day, an hour or less each time depending on weather). All dog kennels are cleaned and disinfected daily. 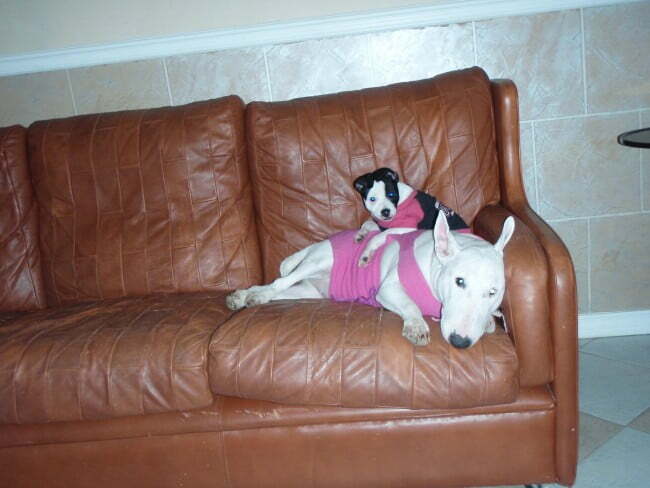 All dogs get personal care and loving daily at no extra cost, we love it and so do they. Deluxe suites are 60 sq feet, great for those families of dogs, spoiled dogs or large breeds that need extra space. We now offer Kuranda beds for even more comfort $1 per day extra. Brand new 1500 square foot artificial turf play area for those rainy, wet grass days. Doggy daycare is also provided, leave your dog with us for the day, while your at work and he will get 3 outdoor runs, one group play with pals and of course attention and treats from staff, $19 per day. You will truly be impressed! Pictures can’t show how clean it is therefore inspections are welcome please check our hours and come anytime. You will come in with your eyes wide open. No tours on the Sunday hours. We are in the country, but centrally located close to Mississauga, Burlington, Milton, Oakville, and Brampton. 20 minute supervised playtime in 5000 square foot, grassy and shaded play area, with or without pals $6 per session. 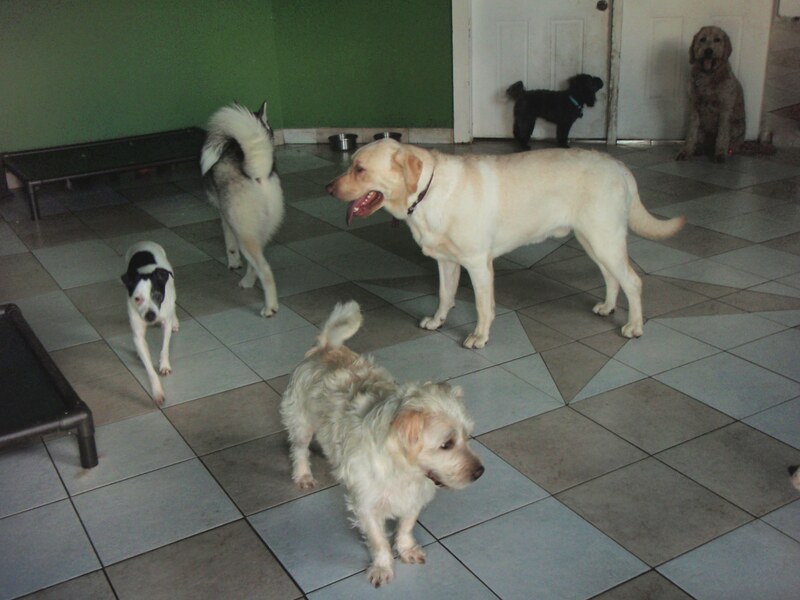 Indoor dog play area shared with friends or just staff. Full dog grooming services, bathing or just nails can be done while being boarded or by appointment. Blankets may be brought from home as long as they are machine washable. Absolutely no beds or comforters. A couple of toys may be brought to keep Fido amused. Medication can be administered, insulin $1 per time, pills .50 per time.